Start your own photo business with the Canon SELPHY CP1000. With myriads of photo booth suppliers sprouting around the country like mushrooms, how do you ensure that your own company stands out from the rest? There are no better people to ask than Noel and Therese Aranzaso, founders of the photo booth company Pose And Print. Noel first dabbled into the photo booth business when he and a bunch of officemates got their own DSLRs almost a decade ago. After delivering stellar results at a corporate event, what started as a profitable sideline quickly became a full-time job as demand for their services snowballed. 1. Venture into a craft you're passionate about. 2. Innovate where it matters. 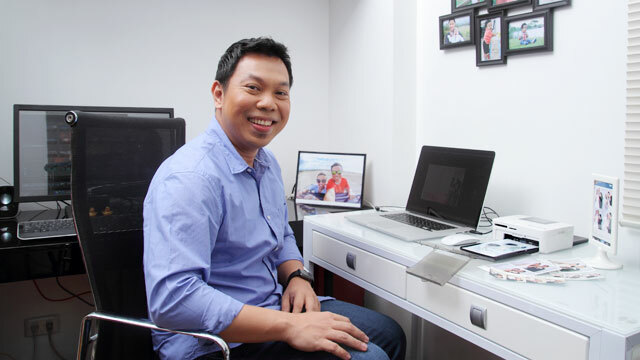 Aside from the usual photo printouts, their company also offers on-the-spot photo magnet creation, “paparazzi” photos, and printouts of Instagram and Twitter photos. Pose and Print also happens to be the only photo booth company in the country that allows their clients to customize the framing of their prints. 3. Treat your staff with respect. To help them improve their craft, Noel enrolled his staff in photography workshops. "Investing in gadgets is one thing, but investing in people is more important," he points out. "Show them that they're as big a part of the company as you are. Give them respect, and they'll give it back by doing what's best for our company and clients." 4. Come up with a long term goal. Now that Pose and Print is doing really well, Noel sees the company expanding in the near future. “Everyone in our staff is a trained photographer, so having our own studio sounds like the next logical step,” he shares. "We're also planning to offer flipbooks—small booklets with a series of photos that appear to move when the pages are flipped rapidly." 5. Invest in the right equipment. 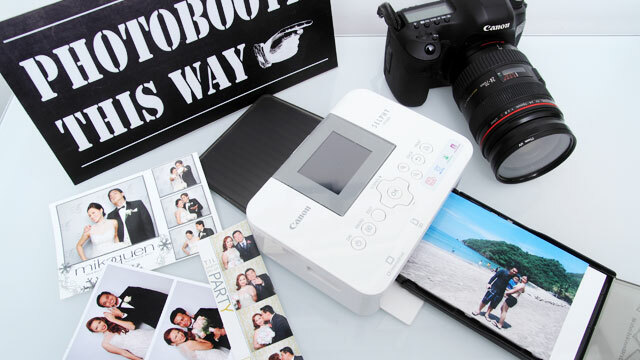 Noel and Therese also cite the Canon SELPHY compact photo printers as one of the reasons why their business picked up as quick as it did. It can print clear, high-quality printouts quickly and easily. The Canon SELPHY CP1000, the newest addition to its well-received line of Business-to-Business (B2B) compact photo printers, has a built-in battery and a lightweight design, an increased user friendliness, and can retain high quality photos for up to 100 years. The SELPHY CP1000 can also print 43 different ID photo sizes and allows users to print two ID photos of different sizes on a single sheet of paper, a feature that can provide additional profit. Above all, Pose and Print takes utmost pride in keeping their gadgets up-to-date. "We're confident that our equipment and service is up to par with the best in the industry, and our clients' reactions constantly remind us of that fact." The new Canon SELPHY CP1000 is now available locally for P7,998. If you want to know more about the product, visit www.canon.com.ph.